Some of our favorite humans are back with their latest production based on the hit series Game of Thrones. 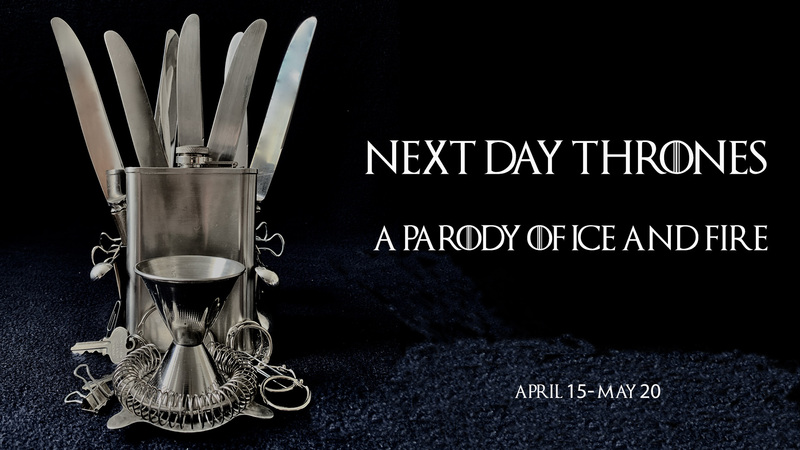 Recent Cutbacks returns to the Peoples Improv Theater with Next Day Thrones: A Parody of Ice and Fire, a comedic look at the upcoming season of the hit HBO series. Tired of simply reading a recap of that episode you missed? How about a theatrical presentation of the episode crafted in under 24 hours? After sending up the greatest film blockbusters of all time, Recent Cutbacks gives the small screen’s most epic show its proper send-off–a no-holds-barred, live recap of the previous night’s episode. In just 24 hours, Recent Cutbacks and friends will create a hilarious and highly theatrical take on the final six episodes of the legendary, game-changing TV show. Performances of Next Day Thrones run Mondays at 9:30 pm April 15th through May 20th. Tickets are 15 dollars and are available to purchase online or in person at the Peoples Improv Theater.